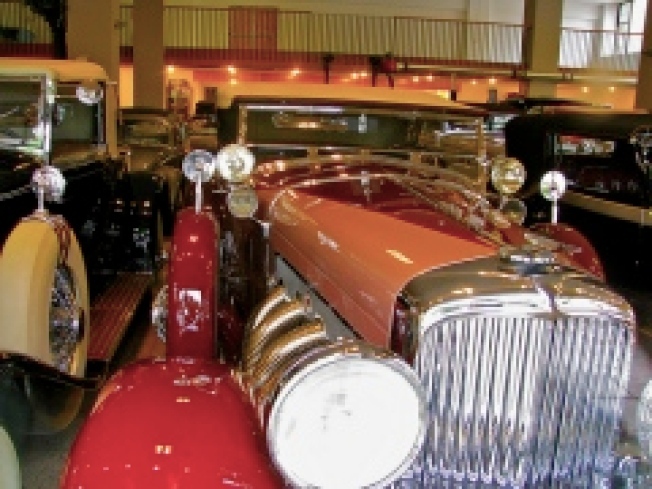 The ubiquitous Academy of Art University, often said to be the largest property owner in the City, recently bought the former Mercedes showcase at 950 Van Ness, and will be moving their classic auto collection there from 1849 Van Ness at some point in the future. The news came out at a recent Planning Commission hearing where the institution got a verbal lashing from each and every one of the commissioners over a wide-ranging series of infractions: unpermitted signs, housing safety issues, along with a much longer list of planning code noncompliances. Commissioners said "the credibility of the institution's on the line," with their "continual disregard" for the code, and just about called them "scofflaws." As to whether the spanking did anything constructive is hard to say, but the commission did resolve to partner up with the Board of Supes to make sure the Academy of Art starts behaving soon. Or else there'll be some serious finger wagging.